Father's Day is almost here. So many dad's are hard to buy for...I know my husband is!! 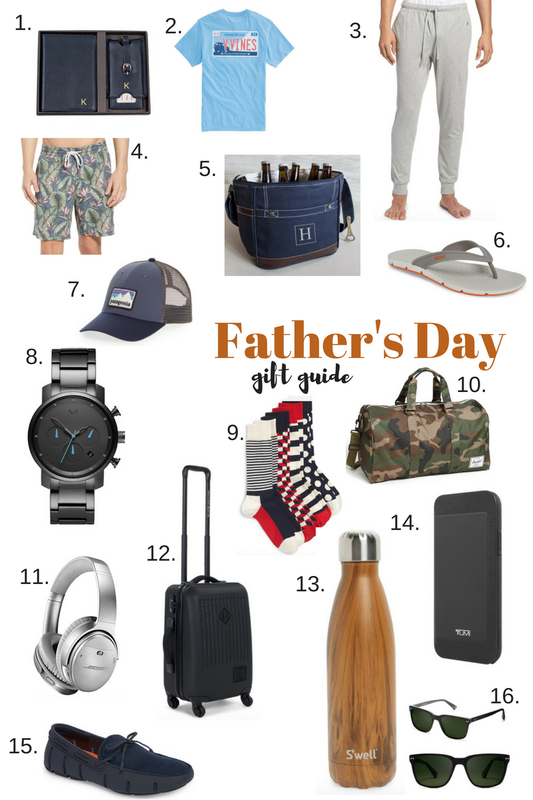 So I've rounded up some great gift ideas, at all price points and for any type of dad. Does the dad in your life love tech gadgets? My husband has these and loves them for when we fly or he's doing yard work. He also has this type of phone case and it really protects his phone when it's in his pocket all day! Do you have a beach or family vacation planned? Every dad could use a cool pair of swim trunks. I love the colors in these. And how about a rugged cooler for his drinks!! Does your husband/dad love comfort? How about a comfy pair of joggers? Is he all about style? My husband has 3 pairs of Swims loafers and he thinks they are the best shoes ever. I did a blog post all about the brand and his love for these loafers here.